A fantastic phrase to express your love for your family! 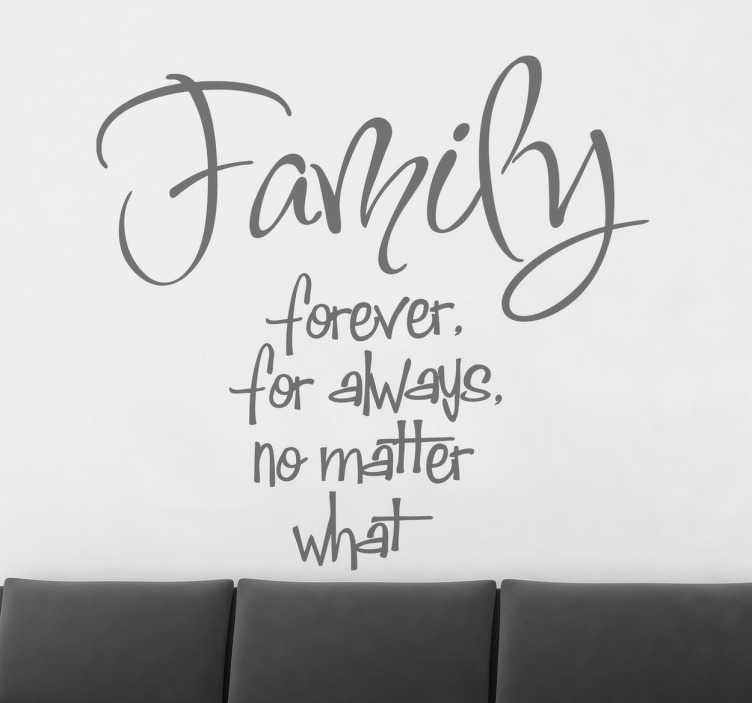 A decal from our superb collection of family and friends quotes stickers. Are you looking for some wall decoration to give your home a heartwarming atmosphere? If yes, then this lovely text sticker is ideal to obtain that atmosphere and give your place a new and fresh appearance. This Family Forever design is customisable in colour and size! Super easy to apply and remove. It leaves no residue upon removal.